How Portland Is Providing Pantsuit Power to Hillary | Scarlet Chamberlin Styling Co.
Local stylist Scarlet Chamberlin turns pantsuits into a powerful political statement. Fashion, though not always the first thing that comes to mind when thinking of politics, has played a strong role in defining the mental images we have for our two presidential candidates. Think of Donald Trump’s boxy suits, always casting the air of a kid wearing Dad’s oversized hand-me-down, trucker hat askew. And anyone who’s paid an ounce of attention knows Hillary Clinton’s preference for minimalist pantsuits. 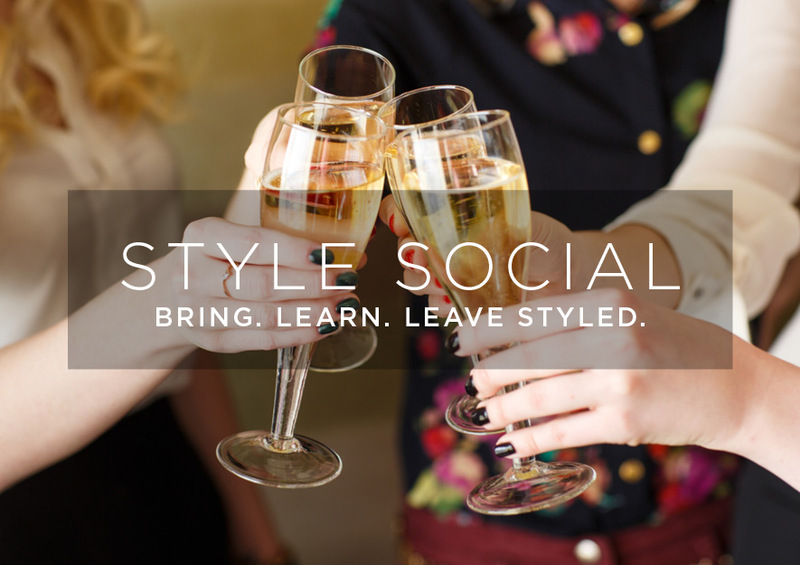 As Chamberlin went through her Tuesday morning pulling clothing from local boutiques for clients, it turned out that a perfectly tailored, bold red pantsuit in our casual city prompted a barrage of questions. She kept telling people it was her pantsuit for Hillary, and decided to document it with the hashtag #pantsuits4hillary—sparking social media enthusiasm from other local designers like Elizabeth Dye. Boutiques offered to donate items for her cause. The tiny idea caught fire and Chamberlin vowed to wear a pantsuit for all 43 days leading up to the election, posting daily shots of herself. In the shots, she styles separates—primarily from local boutiques—into looks that would make HRC proud. Chamberlin also joined forces with brand strategist Kate Sokoloff, historian Juliette Levy, and marketing director Susan Towers to host a pantsuit party in her Old Town studio, where pantsuit-clad guests had photos taken with a life-size Clinton cutout. 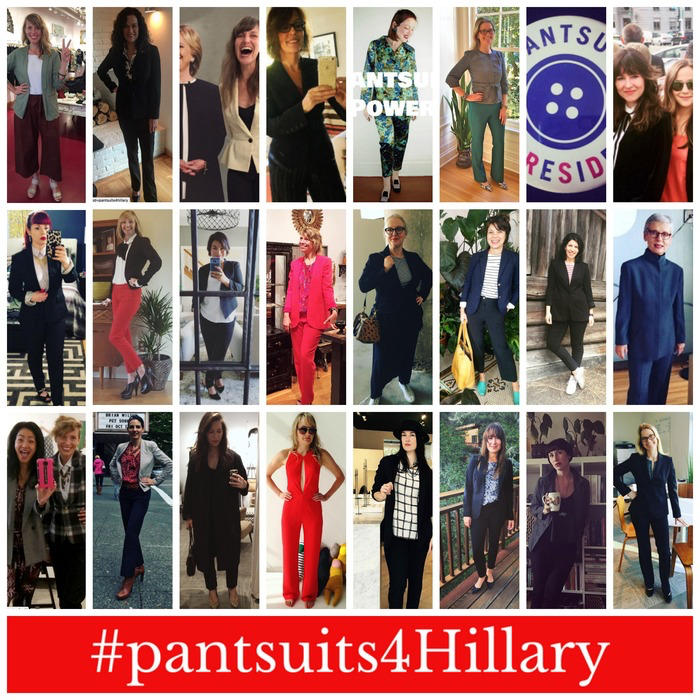 The crew also started a website, pantsuits4hillary.com, with instructions on how to hold your own pantsuit party and photos of all the women hopping on the trouser train. 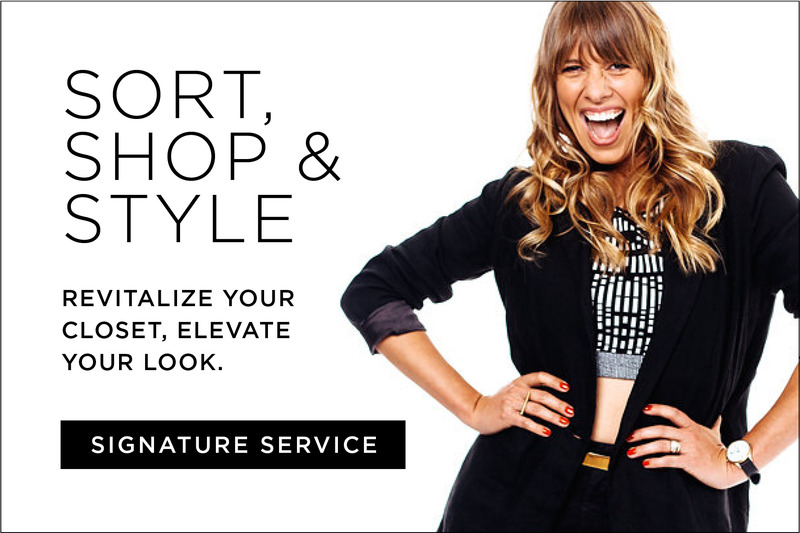 Need more pantsuit power? Check out this New York City flash mob dancing an ode to Hillary, with Portland label Wildfang’s signature “Wild Feminist” tee showing up throughout.